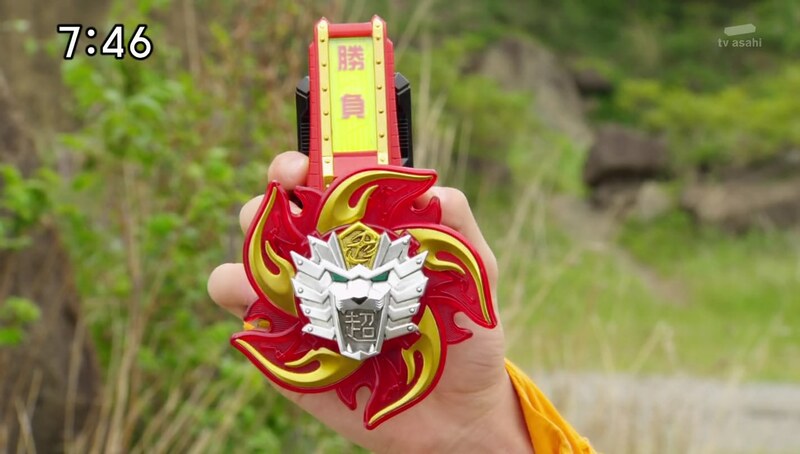 Recap: Shuriken Sentai Ninninger, Episode 20 – The Chozetsu! Lion Ha-oh! Shishioh is drinking, remembering when Grandpa asked him to silently obey him as the Last Ninja. But Shishioh wants to rampage and says the Otomo Nin are not just pawns. Shishioh asks Tetsunosuke why he fixed the Ninningers things and he says it’s his right. The Ninningers arrive and Shishioh leaves. They ask Tetsunosuke about the Otomo Nin, but he says it was father who worked with the Last Ninja to create them. He explains that his father and the Last Ninja also built Shishioh for the final battle against Kibaoni. But he gave Tetsunosuke 21 trouble because he didn’t get along with Grandpa. Shishioh must feel sorry for that and decided to watch over Tetsunosuke 22 until he becomes a full-fledged engineer. Tetsunosuke says it’s no use trying to tame Shishioh. Takaharu asks why. Tetsunosuke asks him to take out his Ichibantou to find out. Tetsunosuke grabs the Ichibantou just as an upgraded Nue arrives with Jukkarage. The others hurry off. Takaharu asks for his Ichibantou back, but Tetsunosuke tosses shurikens at him. Takaharu manages to escape them. 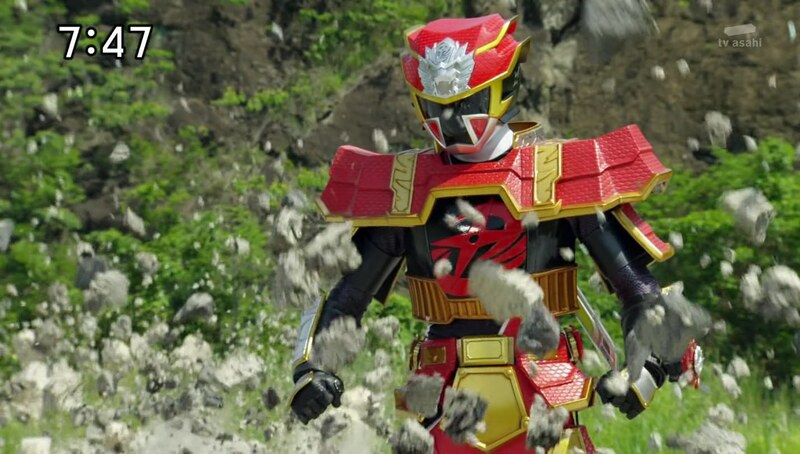 Tetsunosuke says Takaharu’s strength and energy are more like wild instinct than a trained shinobi. An “animal instinct” perhaps. 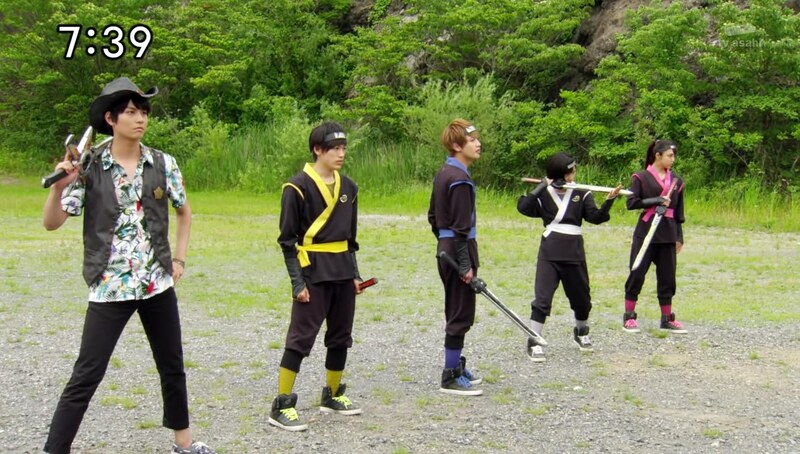 Takaharu admits that while he’s been at this ninja thing longer than the others, he’s not as smart as them. Tetsunosuke asks Takaharu what he would do if he tamed Lion Ha-oh. 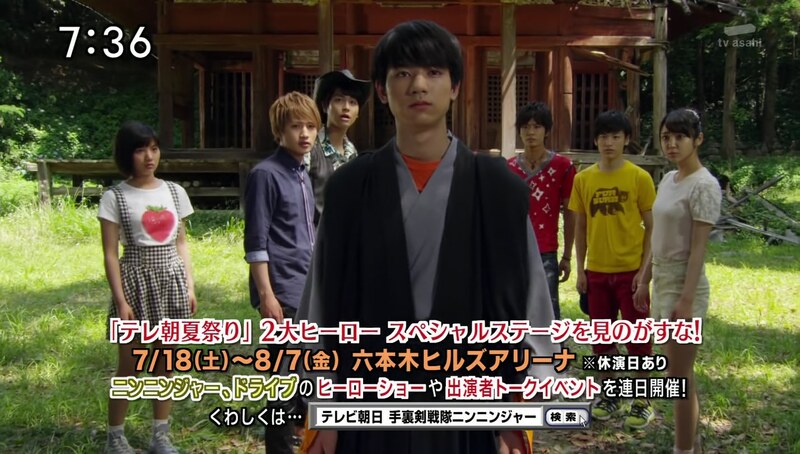 Takaharu repeats that he would become the Last Ninja and defeat Kibaoni. Tetsunosuke says that’s exactly the answer Shishioh does not want to hear. 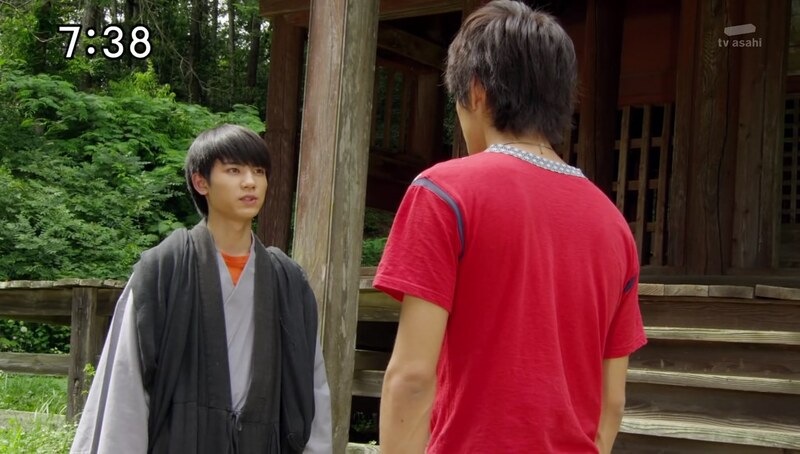 Tetsunosuke asks Takaharu what he can do for his comrades. Takaharu’s not sure. Tetsunosuke bops him on the head with the sword. The others, meanwhile, face off against Nue and the Jukkarages. Shishioh watches. Takaharu chases Tetsunosuke to a cliff overlooking where the others are fighting. 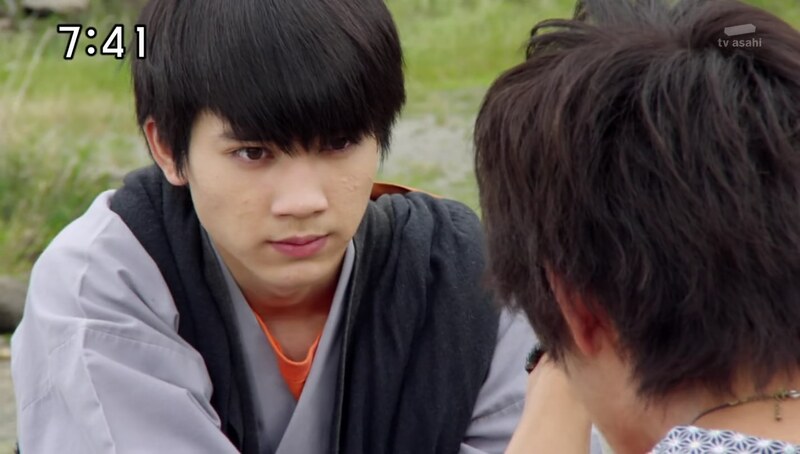 Tetsunosuke stops Takaharu from going to help and tells him to calm down and first observe his comrades. Takaharu sees Yakumo and Kasumi are being reckless, Kinji isn’t being a team player and Fuuka and Nagi aren’t acting flighty enough. Tetsunosuke reminds him that those were the same observations Shishioh had. Takaharu sees it now. Yakumo and Kasumi are smart, Fuuka and Nagi are fast and Kinji is strong. That all allows Takaharu to freely rampage. And when they’re a team, they can rampage together and be stronger for it! Tetsunosuke asks again, what can Takaharu do for his comrades? Takaharu says he can bring out the best in them, but they must work as a team. That includes Shishioh who will allow them all to be stronger if he can rampage as well. If Shishioh can draw out their strengths, they can draw out his best too. Tetsunosuke likes that answer. He tosses Takaharu his Ichibantou. And just in time too as Nue has just about pinned the others on their backs. As the Ninningers work together, Tetsunosuke tells Shishioh that there is finally someone who can master using him. Tetsunosuke knows Shishioh has been waiting for someone to allow him to rampage. Well, he’s here. Tetsunosuke pulls out his first creation. He says his job is to improve upon his predecessor’s masterpieces. So now it’s time Shishioh managed to do that. 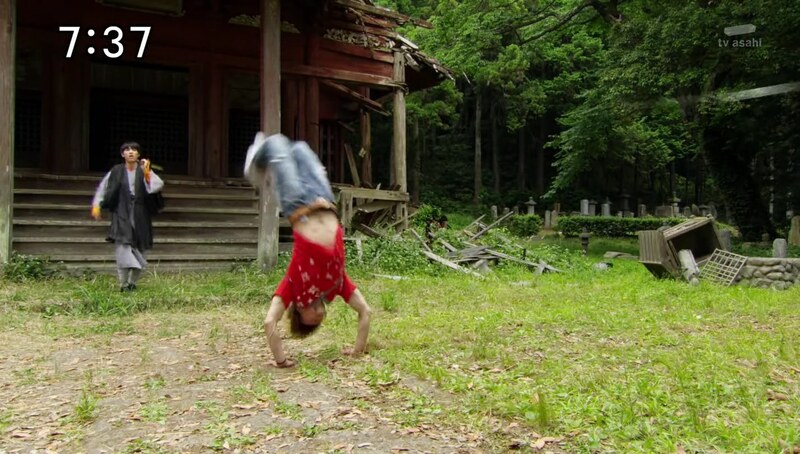 Shishioh jumps into the gadget and Tetsunosuke tosses it to Takaharu. Shishoh talks to Takaharu and asks what he would do if he could tame him. Takaharu says instead of taming him, they can rampage together. 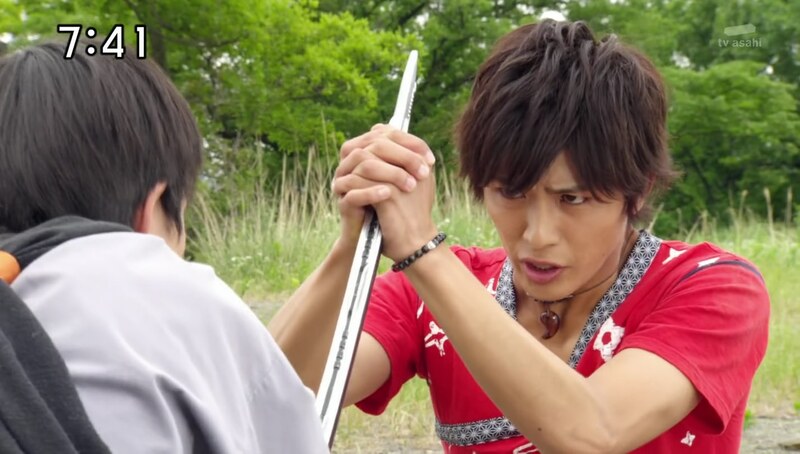 Shishioh activates himself and Takaharu transcendentally powers up to Chozetsu. He is now able to throw Nue around. The others do what they can to help as well. Takaharu finally unleashes a Transcendental Shooting Star Slash to finish off Nue’s first life. Kyuuemon quickly embiggens Nue. 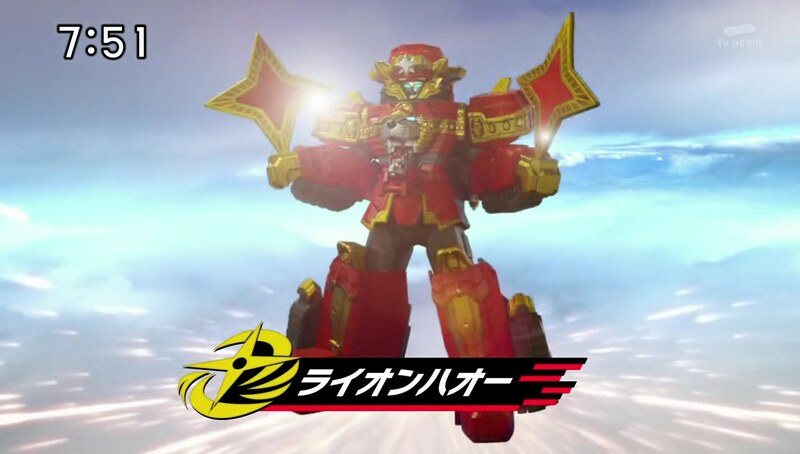 Takaharu summons Lion Ha-Oh Castle which turns into Lion Ha-Oh, Shishioh’s true form. Takaharu and Lion Ha-Oh easily take care of Nue. The Ninningers head home. They realize Nue had two Shurikens in him which is why he was so strong. Tetsunosuke is with Grandpa, telling him that both he and Lion Ha-Oh can rampage as much as they want. Now what to do with the kids? Grandpa says that’s a whole other problem. But Tetsunosuke says it’s not like the Last Ninja to be so bothered by his failure with Iyazoi Kyuuemon. Isn’t there a saying that if you love your grandchildren, you’ll let them go? Grandpa points out the saying refers to one’s own child. But Tetsunosuke knows he gets the point. Grandpa approaches his grandchildren and tells them that he acknowledges they’ve surpassed him, just a little. He now sees they have potential that he does not. 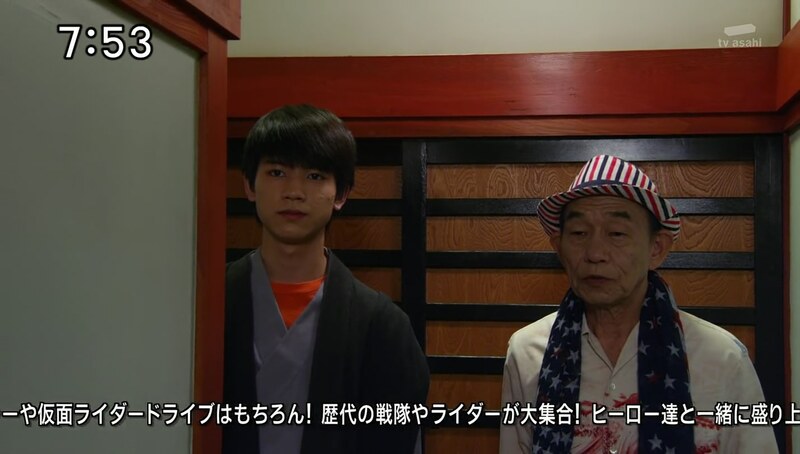 With that, he will now allow Kinji to be his student apprentice. Meanwhile, Kyuuemon says she has to act now, even if it’s ahead of schedule. This was a solid episode. A good build-up to Chozetsu, including last week. My favorite part though was the unmorphed fight of the five against the Jukkarages. That was awesome! I always love seeing the actors themselves in fight scenes. And it was some great choreography. Takaharu and Tetsunosuke were great fun as well. ← Recap: Kamen Rider Drive, Episode 37 – Who's Angling for the Ultimate Taste?